I have had several members ask in the last few weeks if I know where Inge is, unfortunately the answer is no I don't. He hasn't posted here since June which is very unlike him. I know he is a member of the Motobrick and Flyingbrick forums so would any here who are members on either of those forums please enquire there if his whereabouts are known. Inge K is his forum name in both places. I noticed that last week, him missing, as well as Alan (Ajays), our old mate from the UK. Both great members with much to offer. FYI: Inge's most recent post on K11OG is June 22. Anybody have any word on what happened to Inge K? I have heard nothing, a PM I sent is still in my out box. Inge has not been on the Motobrick site since June 2018. Through a Google search, I see he last posted to BMW MC KLUBBEN on June 6 2018. Was quite active in that particular thread, as I can see, but the discussion continued through September without any followups from him. Rob maybe there is a Norwegian member that can contact him. I don't know what else we can do. It is concerning. I have racked my brain trying to think of a way to find out what has happened but there had been total silence from the 6th June on all the forums that I know he frequented. for a snail mail enquiry ???? I have a mobile number for him and will try to send him a message. we really need someone that knows Inge K's real name or full name/address and the area he lived in and then we may be able to google it for some detail. might be better to just call the number and see what the response is rather than sending an SMS? No reply from SMS as yet, I will try the number over the next few days and report back. I can't seem to find his address even though I stayed with him in July 2015. I think I had it stored in the forum email system which is soon full so probably now deleted. RingFad, Have you tried doing an internet search on his name and town? That may give some clue to his status. I've scoured his name (the parts of it we know) and his town of Fredrickstad Norway, as well as the county of Østfold, through various and obvious searches this morning with no luck. By coincidence there is a famous Inge K. (by the name of Hansen) from that town who was a handball professional and who now runs a large bank. I hate to say it but I looked through the 2018 obits, as well as court records and others, but not knowing his surname makes it difficult. Not being even remotely fluent in Norwegian does not help, either. It is important to note that some people are just quiet, going about their lives and unfussed about things happening in the outside world. @Two Wheels Better wrote: I've scoured his name (the parts of it we know) and his town of Fredrickstad Norway, as well as the county of Østfold, through various and obvious searches this morning with no luck. By coincidence there is a famous Inge K. (by the name of Hansen) from that town who was a handball professional and who now runs a large bank. I hate to say it but I looked through the 2018 obits, as well as court records and others, but not knowing his surname makes it difficult. Not being even remotely fluent in Norwegian does not help, either. It is important to note that some people are just quiet, going about their lives and unfussed about things happening in the outside world. I'm pretty sure I'm not alone in hoping his computer is broken, or that he is taking a breather from spending time on the net. I agree PointSevenFive, but his deep knowledge and willing participation here is sure missed. I tried calling him today but his mobile comes back as not in service. I held on calling until I was in the office. I have a Nordic colleague in work and Inge's spoken English is not the best. I also have mislaid his address but will keep looking. Thanks Simon it looks as though any news is not going to be good news. Hi Ya, Have you guys sent an E'mail to Inge K to see if it bounces back ? TWB or other admin should have it, may be done from your personal email then if some one is checking it you may get an answer to whats happened ! Just a thought, I have read a learnt a lot from this forum over the years and know that you guys do check on your mates ! which may hopefully provide some more info on name and address. Myself and David have tried looking up Inge's number but with no success. I also purchased a new GPS since I visited him so also don't have those details anymore. I have checked emails etc etc again with no success but will keep trying. I do however have lots of photos. I hope he is OK. Always so helpful and such a mine of knowledge. How's thing going on the Inge front? He still hasn't surfaced on the Motobrick site. Is there anybody that lives close to him, as his address is known to Motobrick. @MartinW wrote: How's thing going on the Inge front? He still hasn't surfaced on the Motobrick site. Is there anybody that lives close to him, as his address is known to Motobrick. How about we drop him a line? Olaf it's already been done by Motobrick. I'm awaiting an answer, but I don't believe due to lack posts on the subject that they have had an answer. An Email enquiry has been sent to someone who knows Inge and lives in his town. He is currently awaiting an answer, I'll post any news. 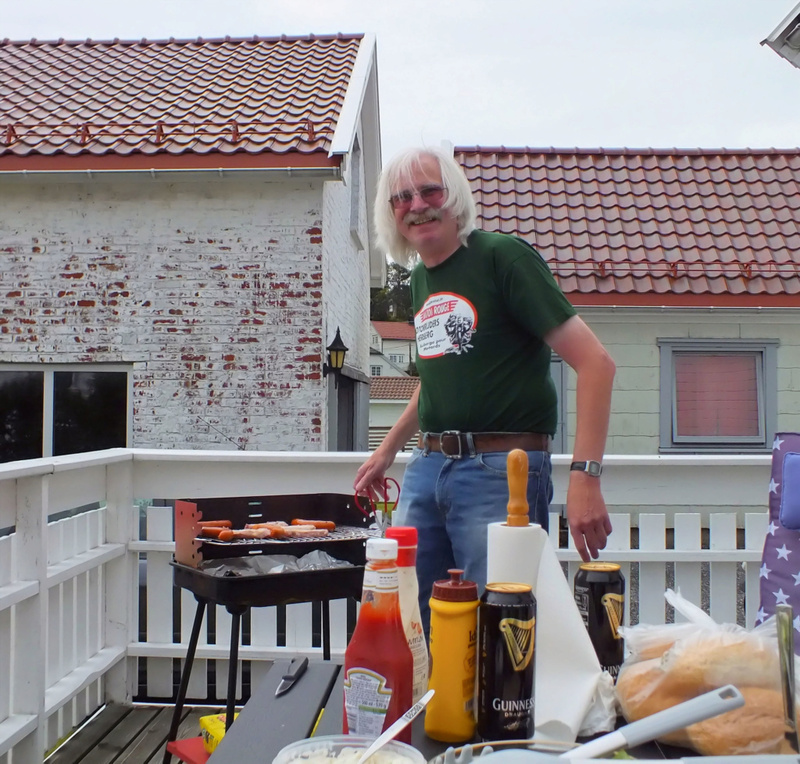 Sadly news from motobrick is Inge passed on 10 July 2018, May he RIP. RIP Inge. So sad to hear this news. Inge was a giant in the BMW K-bike world and will be greatly missed. Gutted to hear that. He was on my wish list of places to go to. We were privileged to have his time here, a source of immense knowledge freely given with some dry humour and wit. He will have a place in heaven, hopefully with some bikes. Damn. A great loss in many respects. My fears have come to pass :-( He was a great part of this and other forums. He is sorely missed. RIP. 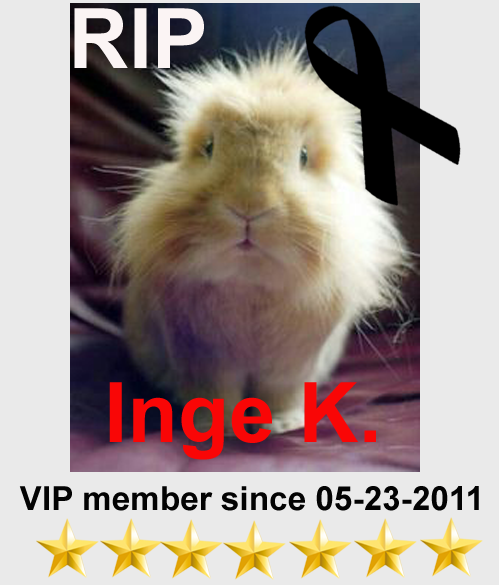 RIP Inge. We were so fortunate to have his time here. K guru, You will be truly missed but never forgotten. Very sad news - and taken from us too soon. It's particularly sad that we didn't know of his passing sooner (despite best efforts of many). His knowledge and willing contribution to this forum was immeasurable - a true VIP. 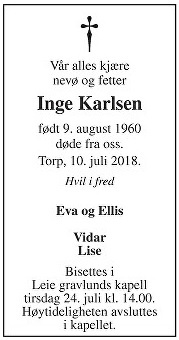 Skål - Hvil i fred, Inge K.
Thanks owrstrish for posting the obit. Very sad news indeed . 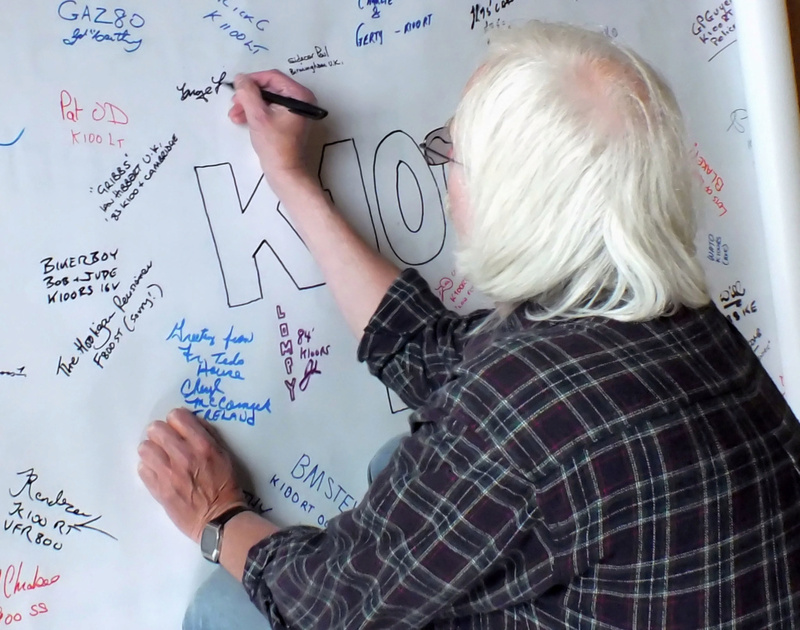 A great loss to the K Kommunity. He will be sadly missed, a great loss. He was an encyclopedia of BMW technical knowledge, which he generously shared. He passed at such a young age! One has to wonder if that was the result of an accident.